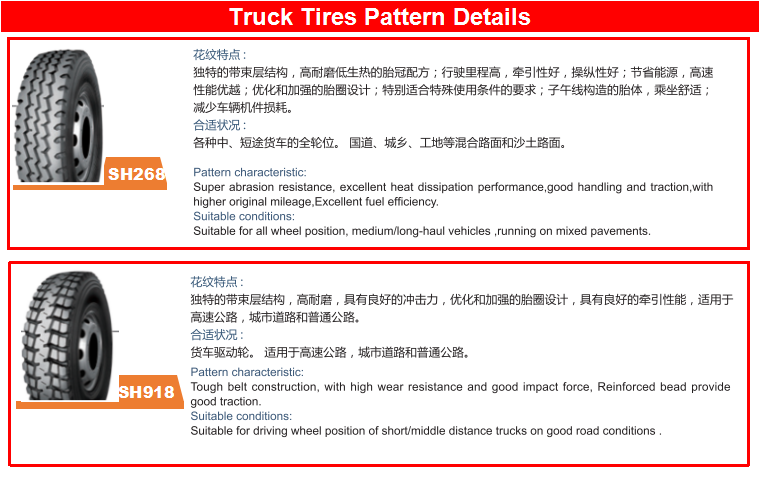 2.The pattern is a mix of large increases verthical groove pattern,drving lacking a broad prospect and pattern depth,has strong traction and grabbed,while,tire structure,use of super-structure,with excellent load-carrying capacity,ultra-wear and anti-stab bundles tread formula for poor road conditions of roads,deicated to ,the short-distance use. 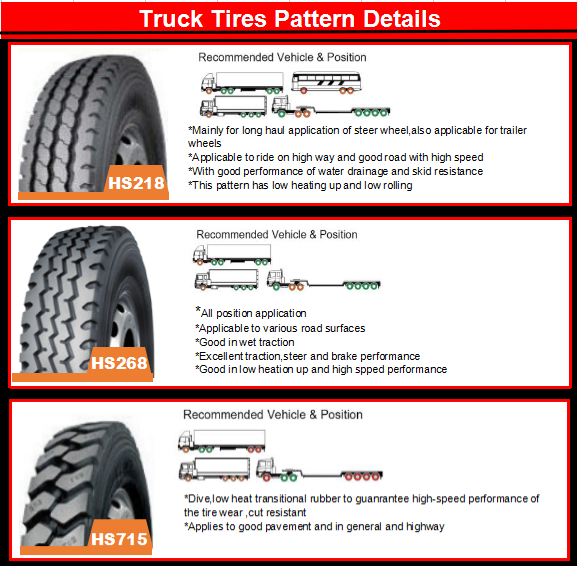 * Tire usage condition: The highway type pattern applies to good roads, including highways and roads. *Vehicle usage characteristics: Applies to passenger all-wheel-bit truck-oriented, tugboat wheel bit. 8. 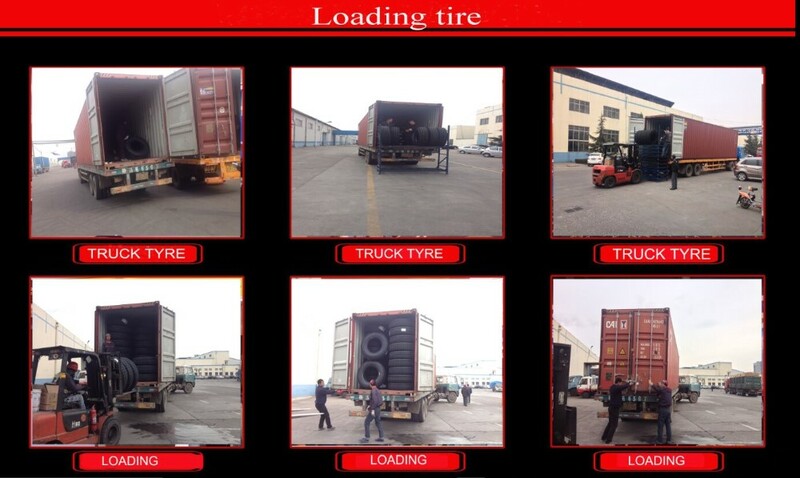 Inspection service: Free after-service when buy from Shengtai Group. 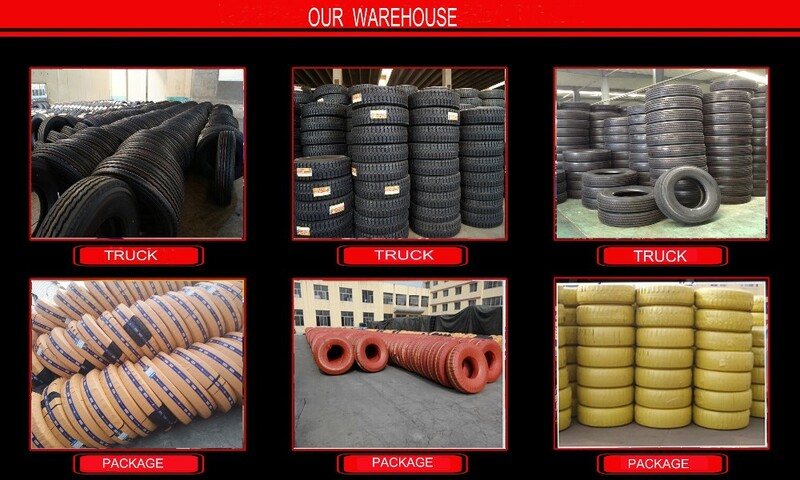 All the tire rubber we used is from Malaysia and Thailand . You can discuss useage and feedback with our technician online support service by Skype, MSN etc. Claim will be provided upon request. 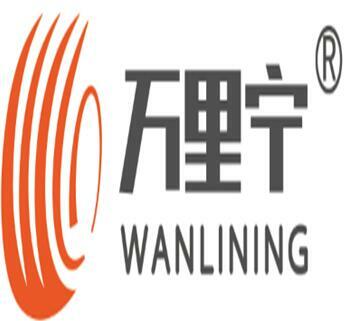 We accept small orders to support customers to help open market. 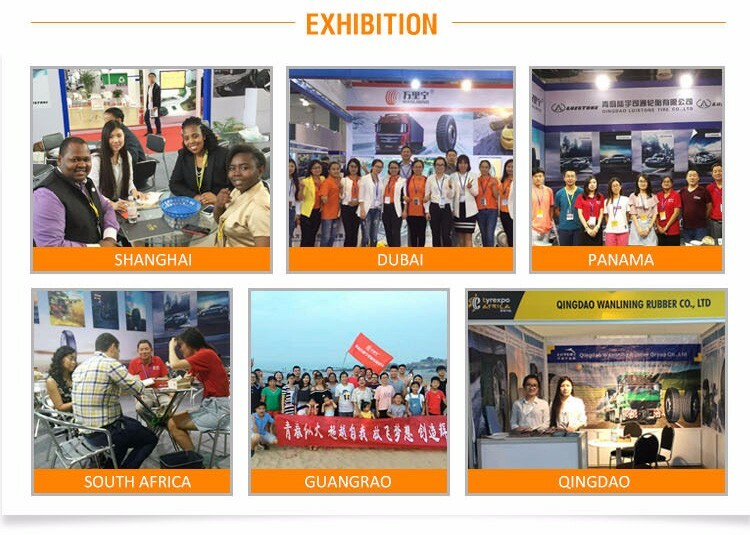 We participate in famous exhibitions all over the world, to help customers for promotion and grow up together with customers. Our products have passed "DOT" for American, "ECE" for Europe, Brazilian "INMETRO",Chinese"CCC",and AQA international "TS16949".At the same time, the enterprise has passed the Quality Management System Certificates"ISO09001",Environmental Management System Certificates"ISO04001",and Occupational Health and Safety Management System Certificates"OHSAS18001"etc. A: Yes. 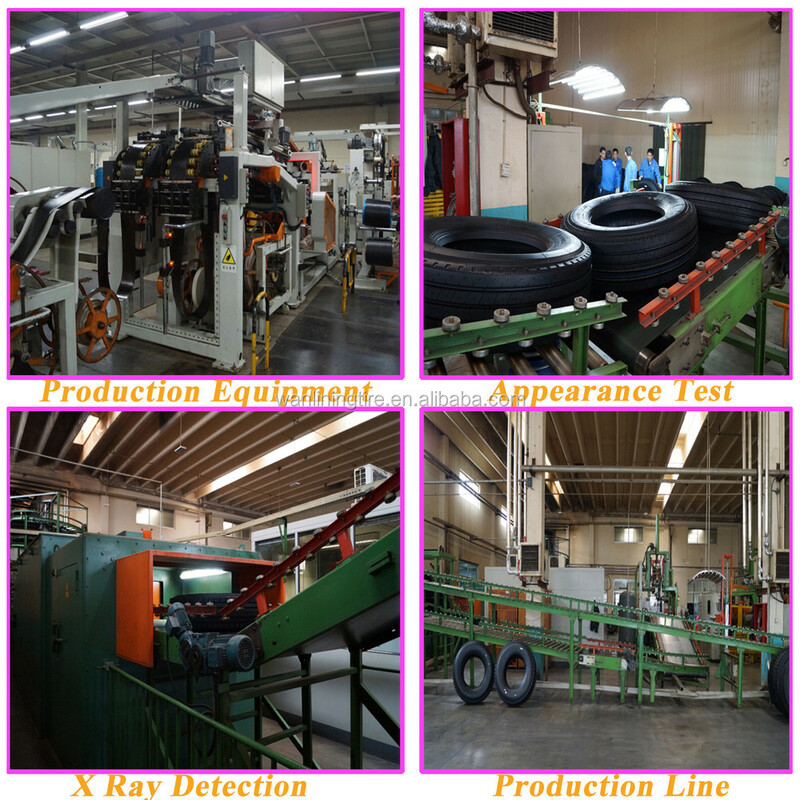 Our factory is established in 1994 with 20 years of experience in tire manufacturing. Q: What is your main categories? 12 millions PCR and 15 millions Inner tubes & Flaps. 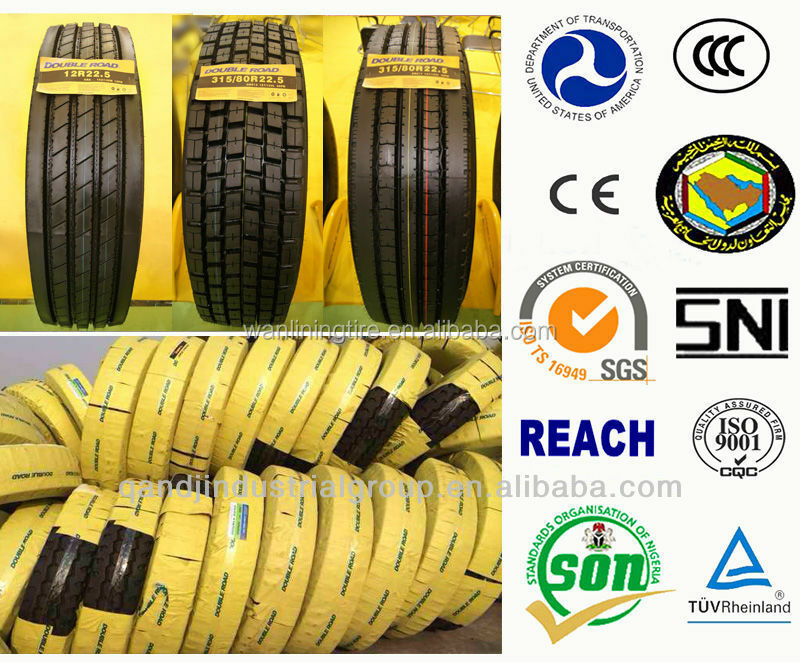 Q: How does your company guarantee the tire quality? 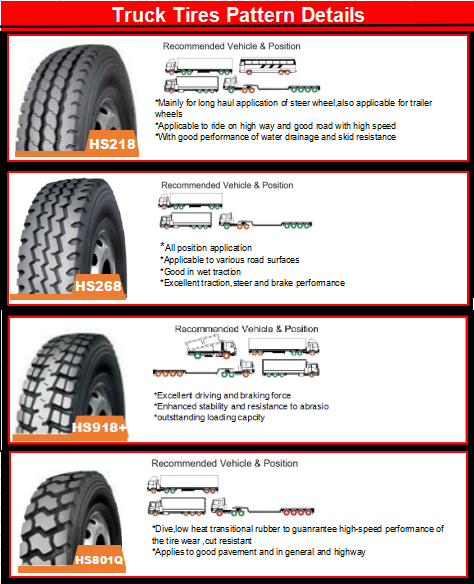 A: We provide tires with warranty policy and claim service, please inquire our sales for details. A: Usually we accept T/T payment, L/C is also acceptable. We also can negotiate other payment such as D/P, West union, Paypal etc. Q: When is your delivery time? Stock sizes can be delivered within 3 days. A: Normally our minimum order is one 40HC, but we can also accept small order in order to encourage customer to test product. So MOQ is not a problem. 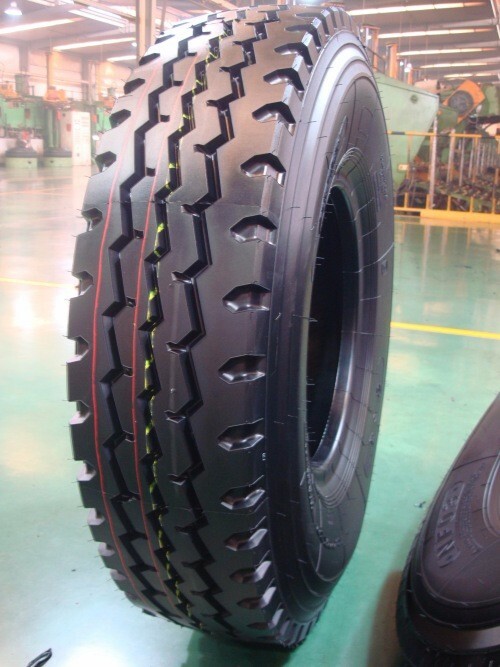 Q: Would you be willing to develop new tire designs and molds for us? Q: Why choose Greentour as your supplier? 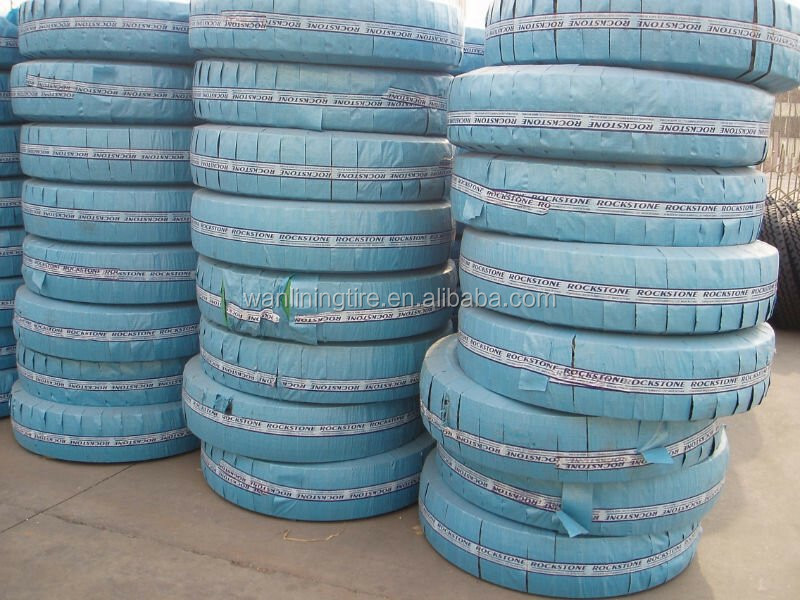 a.20% higher than the standard air pressure,tyre life will 9% lower in average. 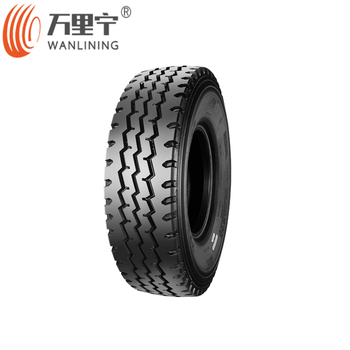 c.Air pressure is too high or too lower,tyre will lose its value,the same with worthless.